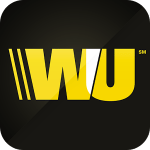 There are many people who have been scammed after sending money to a scammer through Western Union. The Western Union Money Transfer® service is a great way to send money to people you know and trust. If you need to send money to someone you don’t know well, you may be putting yourself at risk for fraud. Beware if the “stranger” says that he can ONLY accept payment by Western Union. All he needs is the MTCN no. that you provide, and he can collect the money anonymously. Note that the MTCN No. is a number generated by Western Union for the seller to collect the money. It does not contain the seller’s information, and is NOT an ID. The same warning applies to cash and money order. Most scams are “too good to be true”, so that they can attract victims, hit and run fast. All they want is “fast money transfer”, so they might present a deal that is “urgent!”, “respond fast”, etc. This is a warning about using Western Union to pay for auction purchases, such as ebay. Experienced sellers will never recommend accepting payment via Western Union, especially when dealing with strangers with no previous records. We have repeated this many times that you “Don’t Pay Money to Get Money!”, especially for lottery winnings. Either ignore the calls/email, or tell the scammers to “deduct the fees/tax from the winnings and send me the rest”. Just 12 words, and expect to see your winnings without paying a single cent (its a scam ofcourse, so they won’t send any money). They will come up with excuses, so don’t waste your time reading them. If scammer says: “Don’t worry about payment by Western Union, I will send you the shipment tracking info”. 1) The shipping info may be fake. 3) They may also send an empty box to you. Last but not least, the above assumes that you are sending money “directly” to the scammer. There are cases where scammers will use a money mule, i.e. someone who is hired unknowingly for the scam, to help “receive money” via wire transfer. They will then be asked to transfer out the money using Western Union. Job scam could also be a “fake check” scam, where the scammers will send you a fake check and ask you to send cash to another “person” who is also a scammer. If you look at the trail, you will be able to tracked the money to the person who has been suckered into the money mule job scam. However, after the money mule wires the money to the scammer via Western Union, the scammer could not be traced.